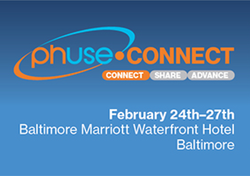 Wright Avenue’s Director of Statistical Programming and Technology, Mike Molter, will be attending PhUSE US Connect 2019 taking place at the Baltimore Marriott Waterfront Hotel, in Baltimore, MD, from February 24th to the 27th. During the conference, Molter will be presenting his paper “Making the Case for Metadata Development”. This paper discusses the challenges faced throughout the metadata development processes for clinical trial studies submissions. These challenges, consisting of outdated methods and technology, have been around since the onset of standards requirements. Years of personal experience has led us down a road toward a better, more efficient and design-centered approach in which the user is invited to tell the story of the study. The work of Molter and Wright Avenue team resulted in a web-based application called Study Designer. Among other features, Study Designer will efficiently leverage standards and produce a clear study story through guided user experience. “Study Designer solicits study information from the user through a series of guided questions to ensure the developer follows a formal, comprehensive, and consistent workflow.” - Mike Molter. Click below for a FREE download of Mike’s paper and get to know more details behind the application that will revolutionize the clinical research industry.